Le group de recherches musicales de la R.T.F. Norfolk and Western. One More Time! On Board The Admiralty Salvage Tug "Restive"
So, there I was really getting into T E Lawrence's (Lawrence Of Arabia) record collection at Clouds Hill. One of his 1920s shellac album box sets was this. So I went and found the earliest vinyl recording I could. 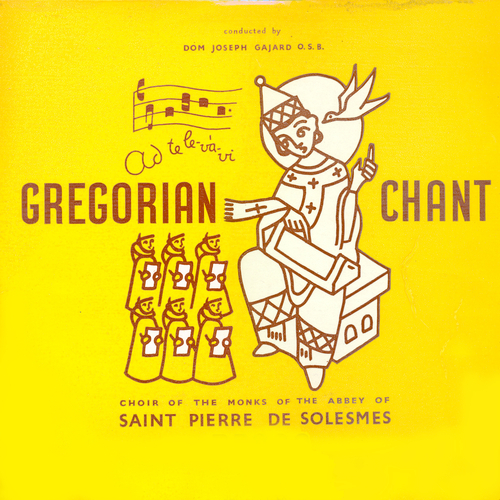 This is it - as sung and recorded by the Monks of The Abbey Of Saint Solesmes. Truly magical, if you are willing to go there. And pretty good for December.